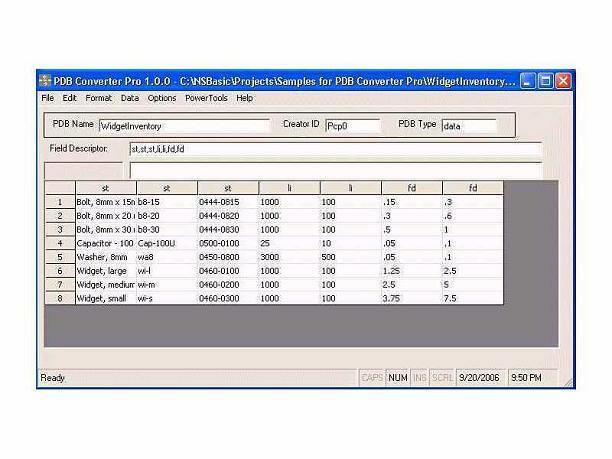 PDB Converter Pro makes Palm OS database creation, conversion, and manipulation easy for hobbyists and IT professionals alike. With interactive and command-line modes, plus a byte-level editor for those times that you need to “tweak” your databases (or when you have to convert an existing database of unknown format), PDB Converter Pro is the most powerful and flexible Palm OS database conversion solution available. The PDB Converter Pro software seems to be old or discontinued. If you need more information please contact the developers of PDB Converter Pro (Michael J. Verive), or check out their product website.